It's A. 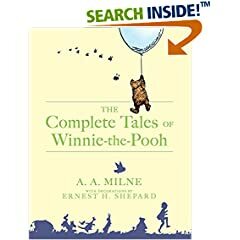 A. Milne's birthday! We'll be serving smackerels for tea time and copying Pooh quotes for copywork. And, of course, we'll be reading aloud from The Complete Tales of Winnie the Pooh. I hear there's a party at Marjorie's too!